Although they may seem drastically different, sports cards and video games have a lot in common when it comes to collect-ibility. Both are extremely popular, collectible, and attract like minded people. Just as in sports cards, the value of a video game is based on the rules of supply and demand. Here are a few of the most valuable sports games in existence. The American version of Stadium Events is widely considered to be the rarest NES game in the world. Of the 2,000 copies made, only about 200 are believed to be in circulation. At the time of its launch during the holiday season of 1987, Stadium Events was only available in limited stores and the 1,800 copies that didn't sell were ultimately recalled. In 1988, Nintendo purchased the North American rights to the Family Fun Fitness mat technology and re-released it as the Power Pad. On February 26th, 2010 a factory sealed copy of Family Fun Fitness went for $41,300 on eBay! The $1,000-$2,000 guesstimated book value above is for an opened version. This game was part of a collaboration between Life Fitness and Nintendo. It never saw retail distribution after it became apparent that no one in their right mind would buy the game if it meant having to purchase a separate $2,000 Exercise Bike. Most copies that have been found have been from Nintendo of America's warehouse itself. 10,000 gold copies of the game were made and given out at a Nintendo Golf competition in Japan. The game is for the Famicom, the Japanese version of the NES. 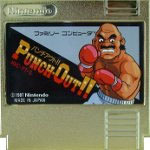 The game actually predates the two American versions of Punch-out. Super Macho Man is the last character in the game, rather than Mike Tyson or Mr. Dream. On the surface 2K3 appears to be a worthless college basketball game with outdated rosters. The type of game that could be found for $2 a Game Stop. In reality, it is one of the single rarest Gamecube game ever made. 2K3 came out on the PS2,X-Box, and Gamecube simultaneously, but only a couple thousand were produced for the Cube due to the consoles inability to move sports titles. A few weeks after the game released on all 3 platforms, 2K Sports decided to cut their losses and halt production on the Gamecube version.